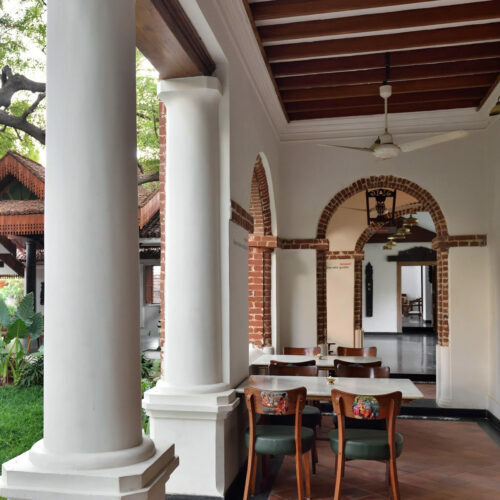 Deep in Tamil Nadu's cultural city of Thanjavur, Svatma is a former grand family residence, that has been lovingly restored to its former glory, with a new additional wing. 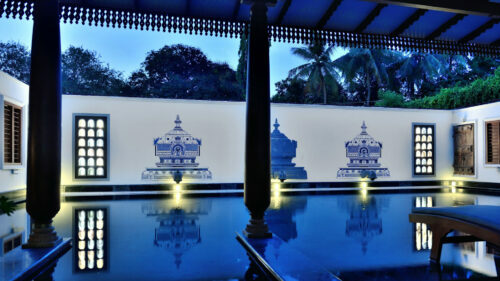 The 38 rooms and suites are all unique and are influenced heavily by the ancient Tamil style. 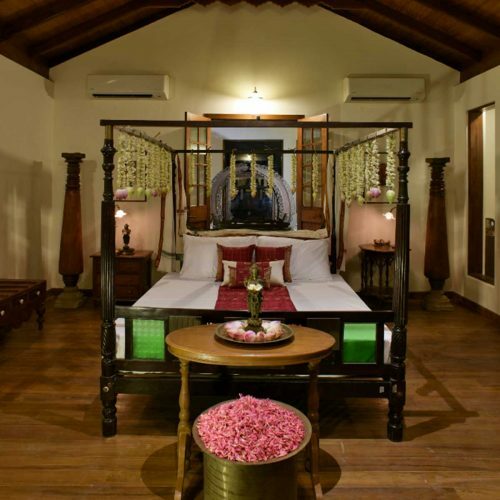 This comprises fresh, cream washed walls with stunningly wood polished floors, wooden pillars, beams and brass detailing. 5 rooms and 2 suites with verandahs are in the main heritage building, the rest are housed in the new building next door. 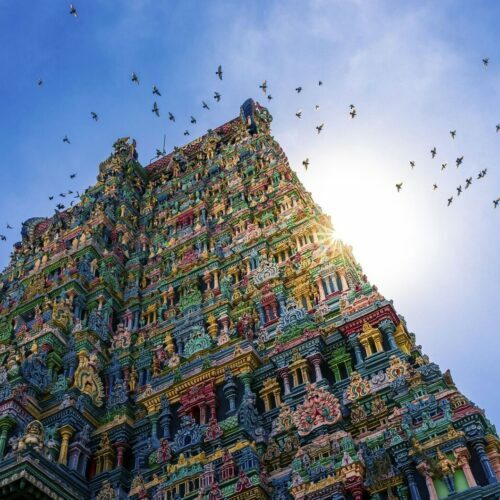 Along with its aim to impart spiritual strength, the beautiful Ayurvedic spa will aim to revive, re-connect and restore so that you come away relaxed and at peace but enlivened and raring to go. 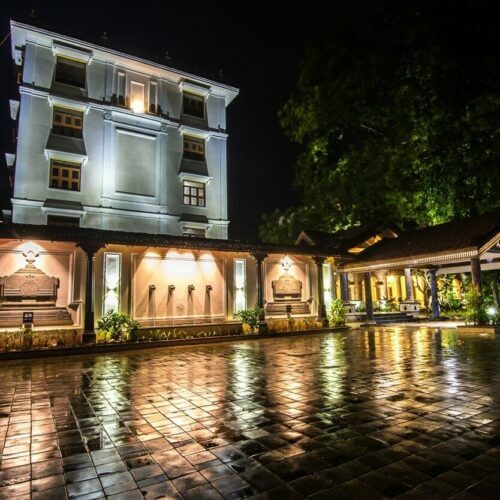 The hotel is entirely vegetarian but serves exceptional local and regional cuisine in the various restaurants. 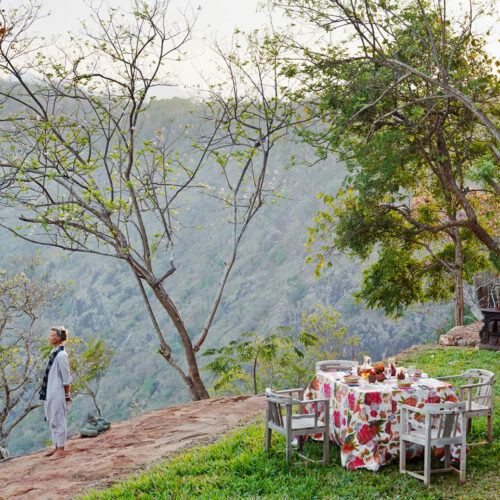 These range from the more formal but cosy indoors restaurant, to the relaxed Palaharam coffee and tiffin restaurant on a shady verandah and the wonderfully romantic Nila, under the stars on the rooftop. 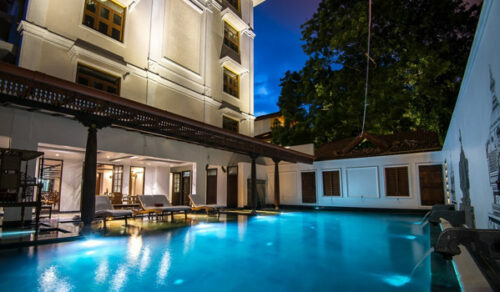 The hotel is keen to promote many experiences with the local craftsmen, musicians and artisans and for those looking to just soak up the atmosphere there is a swimming pool and Jacuzzi to enjoy.